Everything you need to start a 3-week drama unit tomorrow! 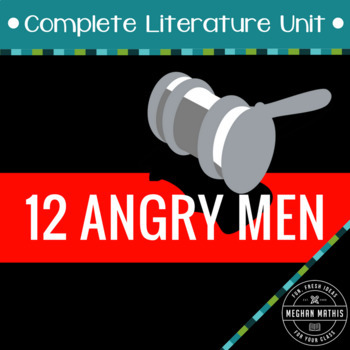 12 Angry Men is a short but powerful play that will hook your students' attention and keep them engaged throughout the unit. 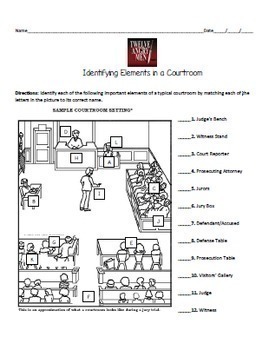 Students will build background knowledge about the legal system, study character development and theme, and make real-world connections to text. 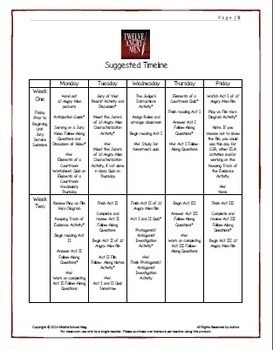 This fun, fresh product comes with an in-depth teacher's guide and suggested timeline for each day's activities making your lesson plans a breeze! • The pre-reading activities absolutely hooked my students into this play. Thank you so much for a thorough unit! 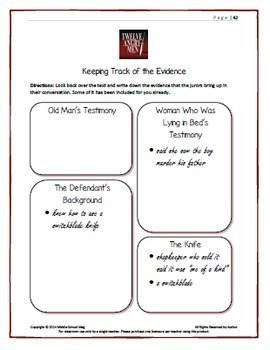 • This is an excellent resource! I have taught this play for several years now and this provides many creative activities! I really liked the Jury of your Peers activity and my students loved it!!!!! • Phenomenal! This has made my first year teaching this so much more easy! Thank you for such a superb product! Looking for more resources like this one?